We hear a lot about climate change and its impacts to communities on our coasts, threatened by sea-level rise, or in rural areas where forest fires are growing in intensity and frequency. 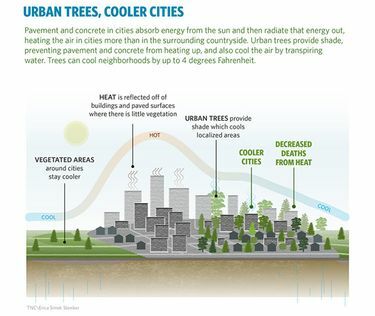 But among the less recognized consequences of our warming planet are those faced by people living in urban environments. Increased heat, flood risk from heavy rains and poor air quality caused by carbon pollution are among the growing threats to our state’s city-dwellers. This is particularly pronounced in neighborhoods close to industry and lacking in green space. In Seattle’s Duwamish Valley, air pollution from industry and highway corridors takes a toll on residents. Data has shown that children in South Park and Georgetown are more frequently hospitalized due to asthma conditions, and life expectancy in these neighborhoods is eight years shorter than the Seattle average, and a full 13 years shorter than the comparatively wealthier neighborhood of Laurelhurst in North Seattle. 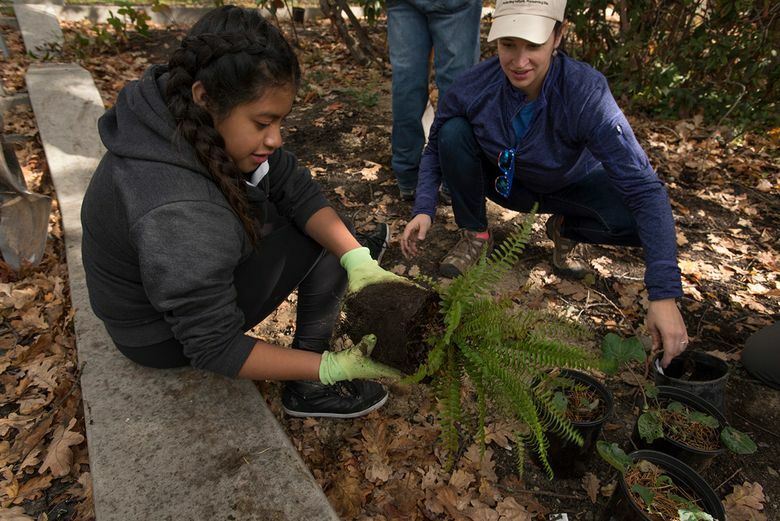 Practical solutions to green our cities will bring natural climate resilience – native plants and greenspaces filter toxic stormwater runoff from streets and highways, while urban tree canopies buffer extreme heat and filter polluted air. The Nature Conservancy also is driving forward tree-canopy enhancement across the region —collaborating across sectors, investing in on-the-ground projects and gathering data on how trees impact our well-being. These projects are a key part of the organization’s work to advance nature-based solutions for the health of people and nature. So what can you do? Climate change is everyone’s responsibility, and you can start with simple steps to lower your own carbon footprint. Above all, we must stay engaged. Learn about community efforts and groups in your neighborhood and speak out for social and environmental justice with your fellow citizens on the front lines of climate change. Raise your voice for climate action in your community, and share that climate change solutions are important to you, your family and fellow Washingtonians. If we take on the challenge of climate change together, our impact will be tremendous.